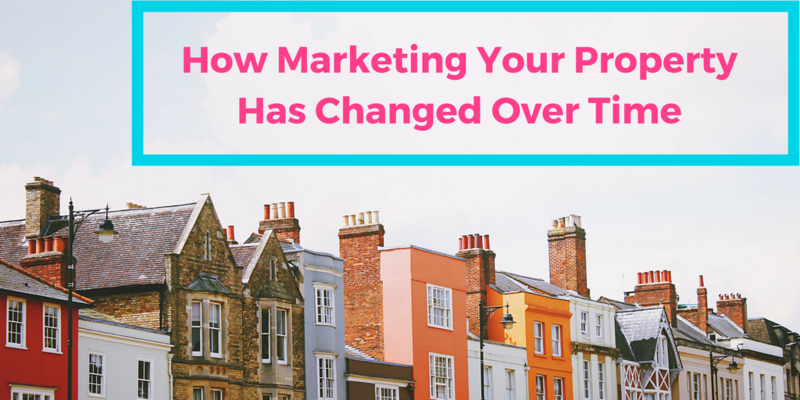 We've asked our friends at Property Division to write this guest post about the evolution of property marketing. In days gone by, marketing property for sale or rent was pretty simple and could be handled with a few notices or in the safe hands of your local estate agent. Things have changed a lot since then and if you want your property to sell at the right price, or to find a tenant, your approach needs to suit your target market in a much more connected world. When people began renting out rooms or property they owned, in the past this was often done by popping a card in your local shop or hospital to attract your desired tenants. Word of mouth was also a good option among communities smaller than we have today, as was advertising in your local paper. As the property market grew and more people began to buy homes, estate agencies became more prevalent and they would handle the advertising and marketing side of things. This would still include listings in your local newspaper as well, as a prominent advert in the window of your chosen estate agency. Of course, as part of the service you pay for, they would get in touch with people they knew were interested in buying or renting a property like yours and arrange viewings that way, too. With the digital world growing all the time, online marketing is the most popular way to market property for sale or rent. In addition to the growing digital world, the rental and sale market has expanded too. There are well-known online estate agencies where your chosen estate agent will share your property details. But, social media and online message boards mean you can also choose to share those details in the relevant places yourself. That means if you’re targeting students, professionals or nurses, you could share your property listings on the right website to help promote it to the right market. If you’re looking to sell or rent to families, share your listings on social media – your friends and family will likely share the listing too and it could quite easily end up on the feed of someone who’s looking for a property just like it. Of course, you want your estate agent to work on it too – get it on all the most popular websites, local papers, their own window and make phone calls to registered potential buyers or tenants. But, if everyone plays a part to help ensure your property is as visible as possible, then there’s a much better chance of success.